Join us for a concert featuring the renowned Canadian group “Orchid Ensemble,” who will join conScience: Michigan Tech Chamber singers, at 7:30 p.m. Saturday (April 1) in the McArdle Theatre, on the second floor of the Walker Arts and Humanities Center. Established in 1997, the JUNO-nominated Orchid Ensemble is comprised of Lan Tung on the erhu/Chinese violin, Yu-Chen Wang on the zheng/Chinese zither and Jonathan Bernard on percussion. 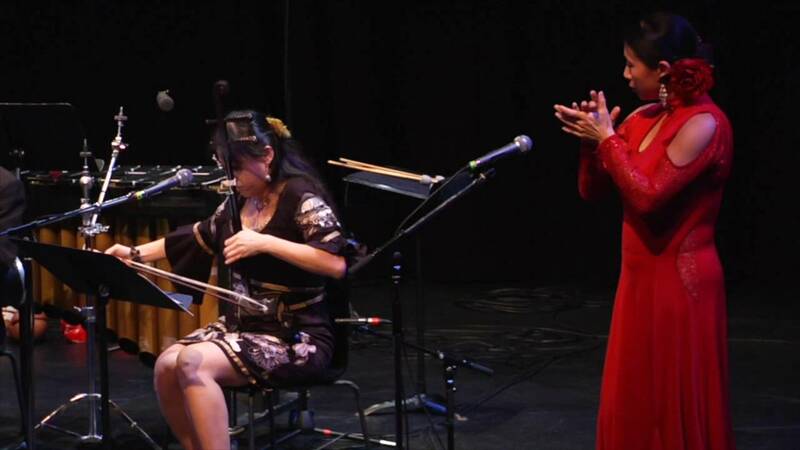 The ensemble blends ancient musical instruments and traditions from China and beyond, creating a beautiful new sound. They have embraced a variety of musical styles to thier repertoire, ranging from the traditional and contemporary music of China, world music, new music to jazz and creative improvisation. The energetic yet endearing performance style of the ensemble consistently intrigues and delights its audiences. Acclaimed as “One of the brightest blossoms on the world music scene” (Georgia Straight), the Orchid Ensemble has been tirelessly developing an innovative musical genre based on the cultural exchange between Western and Asian musicians. 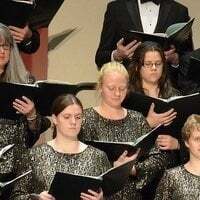 Students from conScience: Michigan Tech Chamber Singers will join the ensemble for three selections in the concert. Tickets are on sale now, $22 for adults, $6 for youth and no charge for Michigan Tech students with the Experience Tech fee. Tickets are available by phone at 7-2073, online, in person at the Central Ticketing Office in the Student Development Complex or at the Calumet Theatre Box Office. 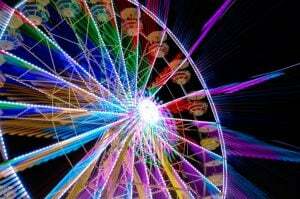 Why do we love amusement parks? 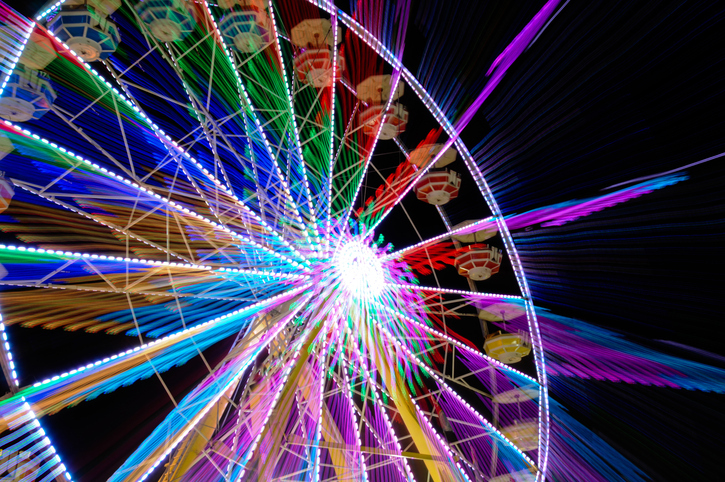 From side-shows to ferris wheels, we’re drawn to the excitement of the buzz, the sounds, the bright colors, the sensory extravaganza. The Department of Visual and Performing Arts and the Rozsa Center announce “Amusement Park Avenue: The 2017 VPA Faculty & Staff Exhibit.“ Faculty and staff of VPA will exhibit a variety of works of many different media and concepts, touching upon all five senses and inspiring curiosity, as if walking through an amusement park avenue. Fifteen artists will be represented: Jared Anderson, Anne Beffel, Mary Cyr, Kent Cyr, M.C. Friedrich, Terri Frew, Lisa Gordillo, Roger Held, Bethany Jones, Susie Kilpela, Jeremy Littlefield, Josh Loar, Elizabeth Meyer, Christopher Plummer, and Jess Portfleet. The opening reception is at 4 p.m. Friday, March 31 in the Rozsa Gallery A-Space. The exhibit will run until April 28 and is free and open to the public. Gallery hours are 8 a.m. to 8 p.m. Monday through Friday and 1 p.m. to 8 p.m. Saturday. 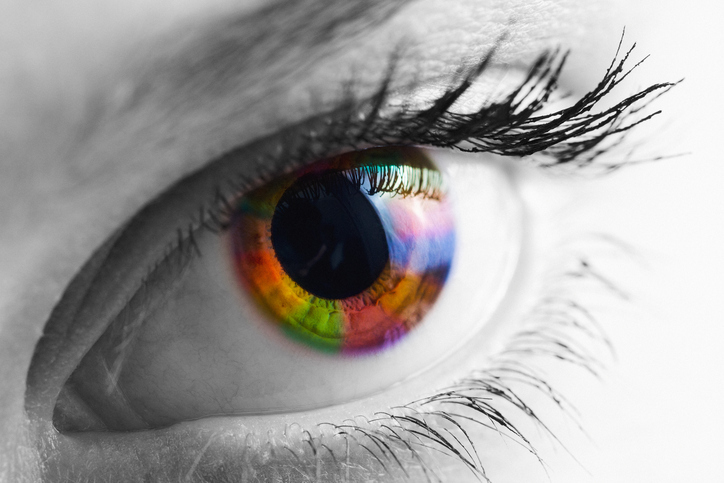 Anne Beffel is asking for volunteer participants in her “Every Color of Eyes” art project. This project makes visible our differences and our common humanity through the metaphor of eye color. Beffel, along with assistants Rebekka Guyon, Alex Pohl, J.P. Rewer and Phillip Wildner, are gathering eye color samples as the basis of a long scroll painting of color-filled circles. Beffel’s “Every Color of Eyes” will become part of the faculty and staff gallery exhibition, “Amusement Park Avenue,” from March 31 to April 31 in the Rozsa Gallery A-Space. An opening reception will be held from 4 to 6 p.m. Friday, March 31. Gallery hours are 8 a.m. to 8 p.m. Monday through Friday and 1 to 8 p.m. Saturday. For more information, contact Beffel at 7-1732. Celebrate “50 Years of Great Jazz at Michigan Tech — The Gold Standard” at the annual Don Keranen Memorial Concert, the final jazz concert of the performance season, at 7:30 p.m. Saturday (March 25) at the Rozsa Center. There will be a reception following the concert in the Rozsa Lobby. 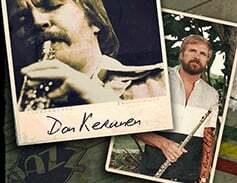 Tickets for the Don Keranen Memorial Jazz Concert are on sale now, $22 for adults, $6 for youth and no charge for Michigan Tech students with the Experience Tech Fee. Tickets are available by phone at 7-2073, online, in person at the Central Ticketing Office in the Student Development Complex or at the Rozsa Box Office the evening of the performance. The Rozsa Box Office only opens two hours prior to performances. 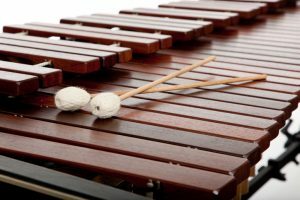 What is a Marimba? Think of a very large wooden xylophone, the national instrument of Guatemala. The Rozsa Center and Department of Visual and Performing Arts presents Guatemalan writer Hugo Gordillo, and collaborator Zach l’Italian, who will read selections of Gordillo’s new poems (in Spanish and English) in a “Marimba Concert and Poetry Night” at 6 p.m. Thursday (March 23) in the Rozsa lobby. This event was developed in collaboration with Michigan Tech music students and conducted by Mike Christiansen, Michigan Tech’s Director of Bands. The Marimba Concert and Poetry event are free and all are welcome. The Michigan Tech Marimbist Band will play several marimba selections, arranged by Christianson. This event is the closing reception for “ChickenBus: a U.S. Guatemalan Experience,” a Rozsa gallery exhibit by Lisa Gordillo. Several poems in Hugo Gordillo’s collection inspired the art in this exhibit. The exhibit will be open before and after the concert. Join the Michigan Tech Choirs for an evening of sacred choral music presented in its natural habitat, the local treasure that is the magnificent space of St. Joseph Catholic Church in Lake Linden. The concert will feature music of many different countries and cultures, with devotional music ranging from South Africa, Germany, England, Canada and 19th-century America. The Michigan Tech Concert Choir and conScience: Michigan Tech Chamber Singers, Jared Anderson, conductor, present “Music for a Sacred Space” at 7:30 p.m. Sunday, March 19th, St. Joseph’s Church, Lake Linden. Free-will donations in any amount are welcomed.